It's common knowledge that President Obama's IRS unfairly targeted tea party groups. The scandal began in 2010, but did not surface until 2013. Since that time, we've learned how the agency delayed the tax-exempt statuses of dozens of conservative organizations. For about two years, the agency worked off of a "Be On the Look Out" list for conservative labels, subjecting those groups to extra scrutiny. 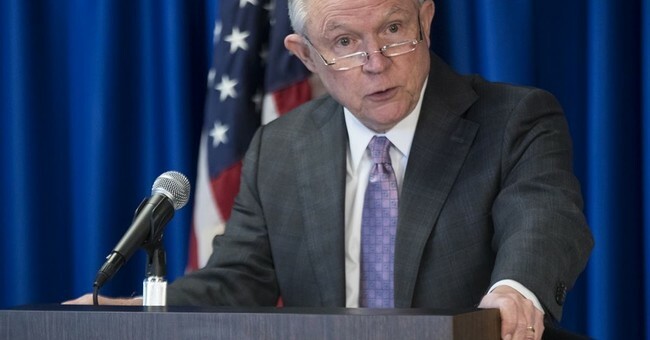 It's a new era and now the Justice Department, under the purview of Attorney General Jeff Sessions, is beginning to make amends. The department announced Thursday that it has reached two settlements with right-leaning groups that were targeted. In his announcement, Sessions gave a brief history of the last administration's inappropriate behavior, before pledging it won't happen under his watch. Sessions apologized on behalf of the department to those groups. "There is no excuse for this conduct," he said. "Hundreds of organizations were affected by these actions, and they deserve an apology from the IRS. We hope that today's settlement makes clear that this abuse of power will not be tolerated." The IRS scandal disrupted the agency's leadership. Acting Director of Exempt Organizations at IRS Lois Lerner, who admitted to the agency's wrongdoings, resigned soon after the scandal broke. Current IRS Commissioner John Koskinen has been accused of being uncooperative with congressional investigations into the scandal. He still has his job, but not for long.